BTCJam is proud to announce that we have hit a milestone of one million dollars (bitcoin equivalent) in loans serviced in the month of June alone! On top of that, we now have over 4,000 loans repaid since November 2012. It has been an honor to pioneer global peer-to-peer lending powered by bitcoin. From doing experiments with anonymous loans to where we are at today, we are eternally grateful to our supporters and members. It is incredibly humbling to see many businesses get their initial liquidity on BTCJam, watch others fund their projects from America to Argentina to the Philippines, and have people use BTCJam as means of consolidating their fiat debt. At BTCJam, we have unwavering dedication to provide the optimal platform for our members. We want users to be able to borrow at reasonable rates that they choose while still enabling investors receive healthy returns. We thank all of the investors that have supplied the liquidity that funded over $1,000,000 (bitcoin equivalent) in loans, and thank you to all the borrowers who have repaid over 4,000 loans! 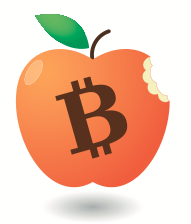 Grow your bitcoins on BTCJam! Follow this blog to stay up-to-date on all new BTCJam features, and receive notifications of new posts by email.